Campsite Champ-Fosse is a campsite with 198 touring pitches and 7 year round pitches. 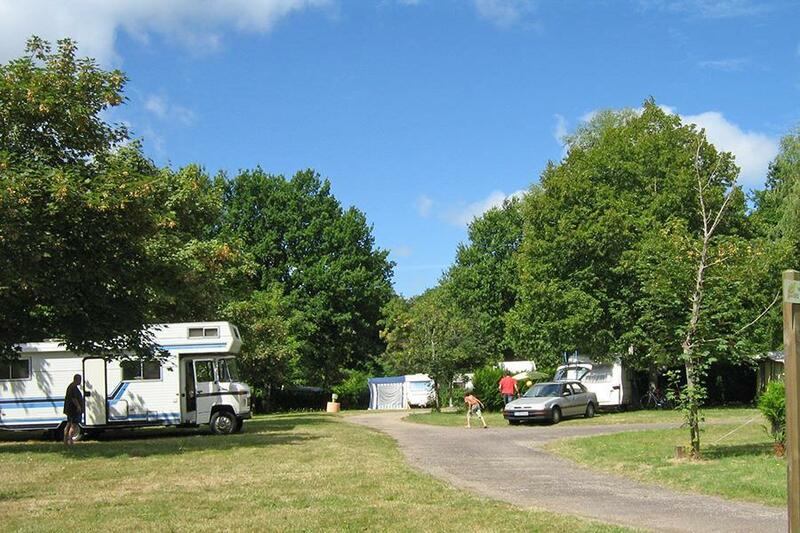 During low season, between 01-04-2019 - 14-07-2019 and 01-09-2019 - 31-10-2019, the nightly rate is €16,- at one of the 198 touring pitches at Campsite Champ-Fosse in Saint-Bonnet-Tronçais (Allier). At this campsite you can not only use your CampingCard ACSI for inexpensive camping, you can also use your ACSI Club ID (as an alternative ID). Well maintained campsite with a beautiful heated swimming pool situated on a lake near the centuries-old oak forests of Tronçais, in which various hiking trails have been marked out. The pitches are spacious, marked out and offer sufficient shade. Camping formidable avec tres belle piscine a debordement et a proximite immediate de la plage du lac.Personnel tres sympathique au service des clients. Les enfants y sont rois. Would you like to book Campsite Champ-Fosse or request more information? You can do both using the information below. Take the 'Foret de Tronçais' exit from the A71/E11. Follow camping signs. CampingCard ACSI will send your information request to "Campsite Champ-Fosse".